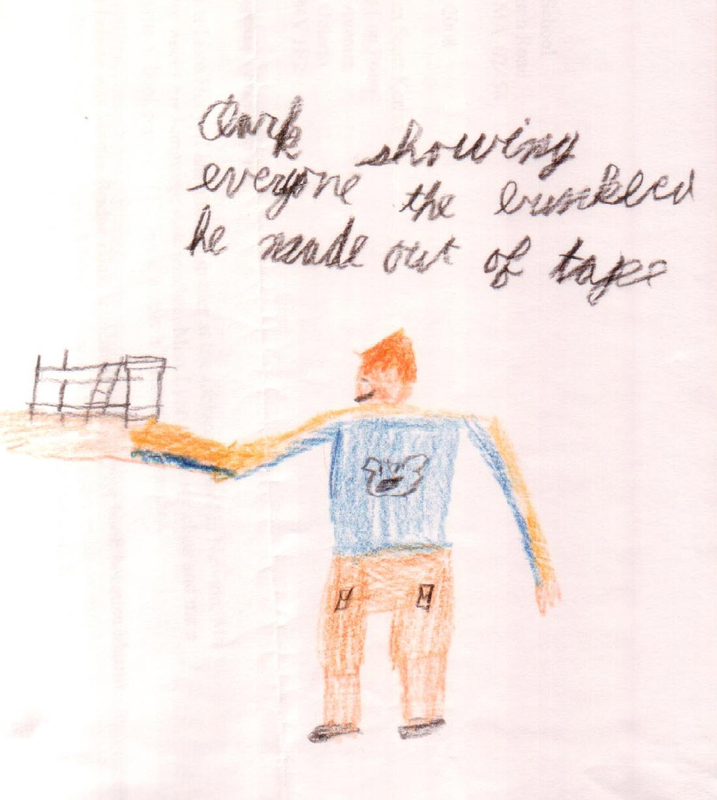 I really like your drawing of Clark and his scotch tape sculpture. I hope you get a chance to go on an overnight camping trip with the Webelos Scouts soon! 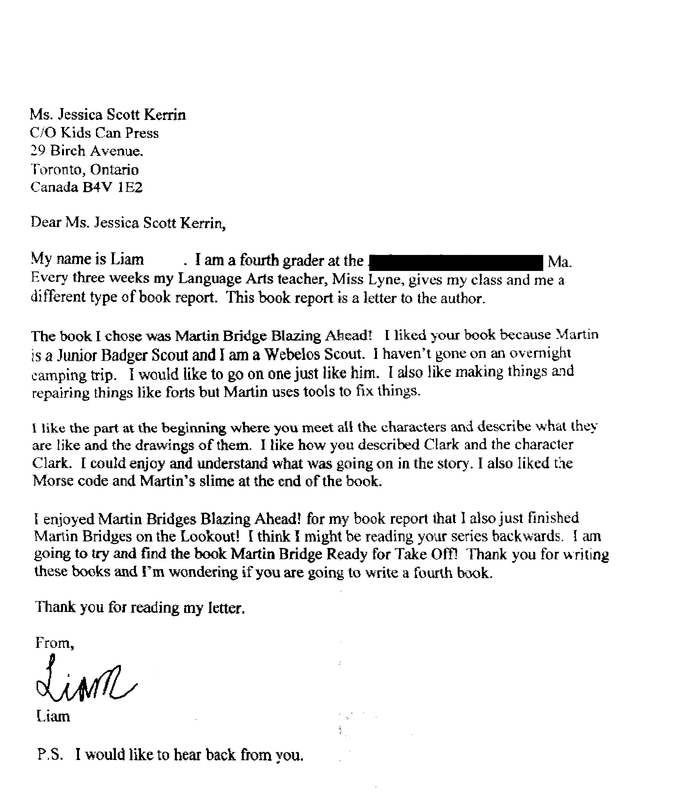 In the meantime, I hope you enjoy the other Martin Bridge books. They are not meant to be read in any order, so don’t worry about going backwards!